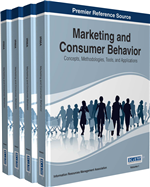 The chapter discusses the marketing strategies of private Romanian healthcare clinics from a communication perspective, advancing methods to improve customer outreach. The study puts together data from the private medical services market and comparatively analyzes the marketing strategies, making recommendations towards the optimal cost-benefit mix. The strategy in a firm is the pattern of the major objectives, purposes or goals and essential policies and plans for achieving those goals, stated in such a way as to define what business the company is in or is to be in and the kind of company it is o it is to be. It is considered that a company needs a strategy when the resources are finite, when there is uncertainty about competitive strengths and behavior, when commitment of resources is irreversible, when decisions must be coordinated between far-flung and over time and when there is uncertainty about control of the initiative. Strategy provides a unified sense of direction to which all members of the organization can relate (Payne, 1993). Strategy is concerned with the deployment of potential for results and the development of a reaction capability to adapt to environmental changes. Generally, organizations have identifiable existing strategic perspectives, however not many organizations have an explicit strategy for the intended future. The absence of an explicit strategy is frequently the result of a lack of top management involvement and commitment required for the development of proper perspectives of the future within the scope of current corporate activities. Strategy specifies the direction. Its intent is to influence the behavior of competitors and the evolution of the market to the advantage of the company making the strategy. A strategy statement includes a description of the new competitive equilibrium to be created, the cause-and-effect relationships that will bring it about, and the logic to support the course of action.